The most likely scenario would see both Russia and NATO increase their military presences in the region, including new bases. Despite the failed referendum in Macedonia, it seems likely that the country will become a NATO member, perhaps by the end of 2019. When that happens, the alliance’s southern flank will be closed, and two pan-European transport corridors (VIII from Durres, Albania to Varna, Bulgaria and X from Salzburg, Austria to Thessaloniki, Greece) will come entirely under NATO protection. Greece’s warming relationship with the US is crucial in this context. Serbia and Bosnia and Herzegovina will be completely surrounded by NATO members, save for their mutual border. It is likely that Serbia initiated the talks on a territorial exchange with Kosovo to disrupt this process by creating a new conflict zone in the Balkans. 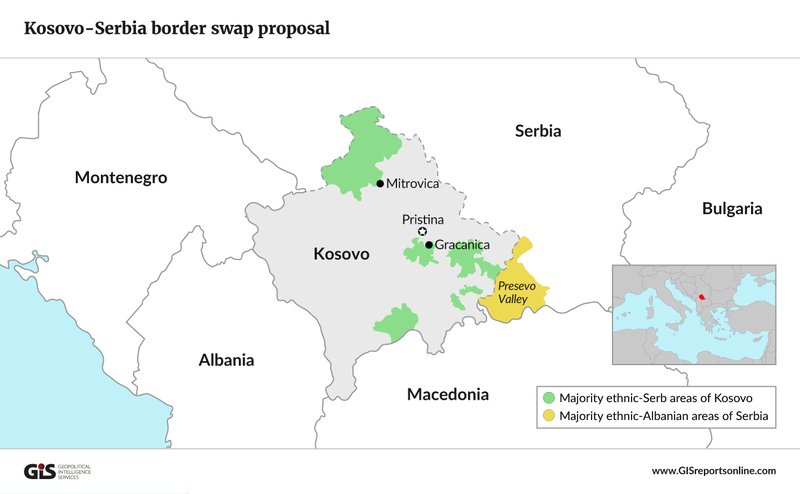 The debate over the land swap between Serbia and Kosovo has cropped up just as Russia and NATO are reinforcing their military stances in the region. This is because regional peace will depend on how the two biggest ethnic groups there – the Albanians and the Serbs, each numbering about seven to eight million people – resolve their disputes. Poslednji uredio jevto; 04-03-19 u 10:01. Neko me je pitao za Nikolu Kolarskog iz Botoša, up date, otišao je da skuplja nebesku gvožđuriju. Laka mu zemlja,ja sam bio pitao.